Dice red pepper and onion. In a large skillet, heat the olive oil over medium high heat. Add the pepper and onion. Cook about 3-5 minutes. Add spinach to pan and cook until spinach is wilted. In a small bowl, crack and whisk the eggs. Then add the eggs to veggie pan. Season with salt and pepper. 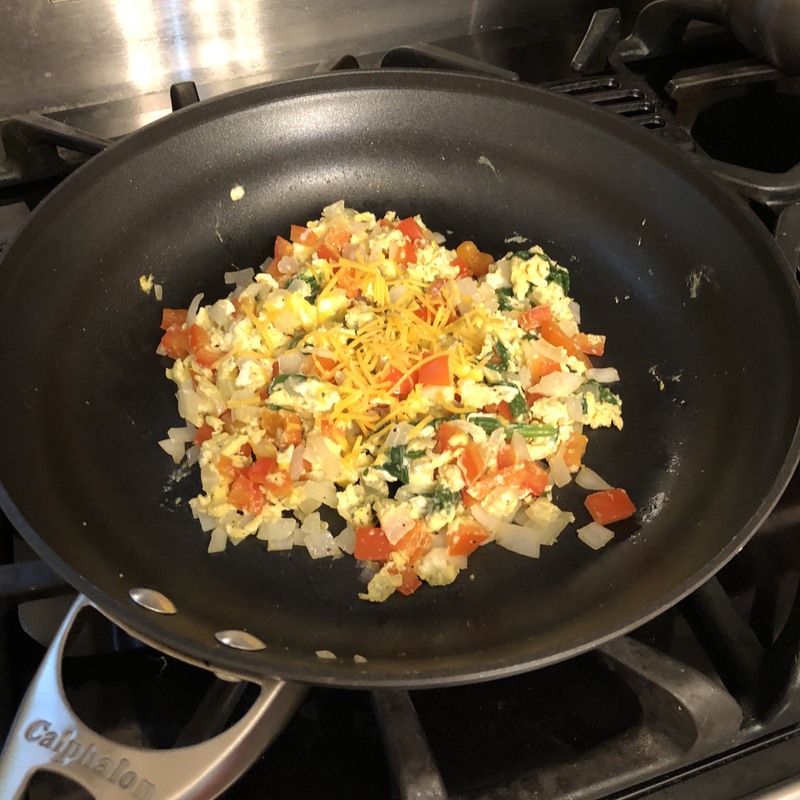 Combine all ingredients and scramble until eggs are cooked. Serve and top with shredded cheese. Enjoy!